Tricia McInroy Loft Cinema employee Dale Meyers holds up an old reel at the front counter. 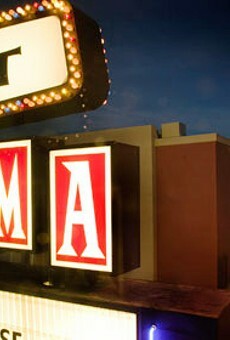 A giant silver screen fronting a huge auditorium decorated with pleated golden curtains greets patrons of the Loft. Upstairs, in a much more intimate setting, a couch is even available for viewing films on a smaller screen. Similar to Tucson's downtown movie palaces of the 1920s, the Loft shows a wide variety of films, ranging from foreign to funny. 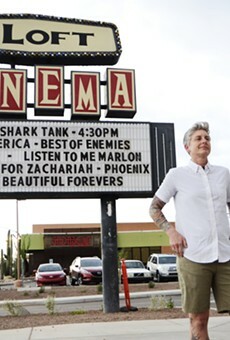 Unlike the multiplexes, Tucson's community-owned, membership-supported theater is constantly changing its selections. 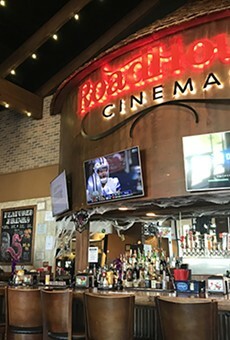 For more than 30 years, along with The Rocky Horror Picture Show, the Loft has been bringing movies for adults to Tucson. Sitting in the cool, cave-like darkness of the theater can transport the viewer back in time to when movie-going was an event, not a do-at-home diversion.